The final event of the 2007-2013 IPA Adriatic Cross-Border Cooperation Programme takes place in L’Aquila to the Auditorium of the Scuola Ispettori e Sovrintendenti della Guardia di Finanza on 4 December, in the authoritative presence of the President of the European Parliament Antonio Tajani. The event – strongly endorsed by the Managing Authority of the IPA Adriatic CBC Programme, Ms. Paola Di Salvatore – is held in L’Aquila (Italy), headquarters of the Managing Authority, to share with the highest institutional representatives at national, international level and from the pre-accession countries participating in the Programme not only the relevant outcomes pursued along the implementation phases of the IPA Adriatic Programme - the most important European Territorial Cooperation Programme in the Adriatic region with an allocation amounting to 244,000,000 Euros – but also in the attempt to define a joint stand on the future of the European Cohesion Policy in the Adriatic-Ionian region with a key role played by the Abruzzo Region, thus combining also the results of the technical meeting in Brussels on “The future of the European Cohesion Policy: open dialogue on pre-accession” on 8 November 2017. After the welcome address of the Commmander of the Scuola Ispettori e Sovrintendenti della Guardia di Finanza, Divisional General Gianluigi Miglioli, the technical address of the Managing Authority will concern the most relevant steps and the overall impact of the IPA Adriatic CBC Programme; the complex process of pre-accession of the Balkan countries; the capitalization of the results achieved by implementing the first projects of the Adriatic-Ionian Strategy Action Plan; the adoption of measures and financial actions to prevent irregularities and fraud when using EU funds at the benefit of the EU budget; the need of a governance system concerning the new challenges of the Adriatic-Ionian area to share the EU strategic goals of the neighbourhood and accession policy. Following, the Army Corps General Giorgio Toschi, Commander General of Guardia di Finanza, the Under Secretary of State at Italy’s Ministry of Justice Federica Chiavaroli, the President of the Abruzzo Region Luciano D’Alfonso, and the President of the European Parliament Antonio Tajani will take the floor. After showing a short video of the address of the Member of Parliament Cecile Kyenge, the following keynote speakers will hold their technical address: the Italian member of the European Court to the European Court of Justice Judge Ezio Perillo, the Secretary-General of the Conference of Peripheral and Maritime Regions (CPRM) Eleni Marianou, the Principal Adviser to the Dean – Chamber V, European Court of Auditors Gabriele Cipriani, the Section Community and International Affairs Audit member at the Italian Court of Justice Carlo Mancinelli, and Divisional General, Commander of the Guardia di Finanza for the prevention of fraud against the EU funds – Italian Presidency of the Council of Ministers Francesco Attardi. The delegations from the countries participating in the Programme will be represented by their highest institutional authorities: the Ministry of Foreign Affairs of the Republic of Montenegro Aleksandar Andrija Pejovic, the Ministry of the Interior of the Herzegovina-Neretva Region (Bosnia-Herzegovina) Sladan Bevanda, the Prime Minister of the Republic of SRPSKA Zeljka Cvijanovic, the President of the Regional Council of Tirana and Vice-President of the Adriatic Euro-region Aldrin Dalipi, the Mayor of Tirana Erion Veliaj. Marco Panara, journalist of the Italian newspaper “La Repubblica”, chairs the conference. IPA (Instrument for Pre-Accession Assistance) CBC (Cross-border cooperation) aims at assisting candidate countries or potential candidate countries in the process of becoming members of the EU. It is a cross-border European Territorial Cooperation (ETC) Programme of the European Commission – DG Regio directed towards adopting the acquis communitaire in the Adriatic region, so as to allow for EU membership of the Balkan countries, once the scenario of a dramatic and violent war. The Programme focuses on creating and establishing a dialogue among 8 countries, which all border the Adriatic Sea but with very deep regulatory, political and socio-economic diversities at present. The Adriatic IPA CBC Programme involved 8 countries, of which 4 EU member States (Italy, Greece, Slovenia, Croatia became a member in 2013) and 4 candidate countries or potential candidate countries (Albania, Bosnia-Herzegovina, Montenegro). Serbia participated in the Programme in phasing-out. The mandate of Managing Authority of the IPA Adriatic CBC Programme was conferred to Ms Paola Di Salvatore, Chief Executive in charge of the Service of Territorial Cooperation – IPA since 13 March 2013 and of Euro-planning of the Abruzzo Region since 2017, who managed to overcome the extremely severe situation emerged after the judicial proceedings affecting the Programme in January 2012. The IPA Adriatic Programme was unfortunately suspended by European Commission Decision, subsequently lifted thanks to the complex, difficult and tenacious work of Ms Paola Di Salvatore, the newly-established Managing Authority, who detected serious irregularities attributable to the 2009-2010-2011-2012 financial exercises by means of an Action Plan submitted to the European Commission endorsing the principle of reliability among the member States and European institutions, which led to lift the suspension. This complex technical and administrative work received the formal appreciation of the European Commissioner Corina Cretu with the subsequent Decision of February 2016 on releasing funds. This also helped to boost dialogue for the innovative project development with the Balkan territories, and to monitor the entire project allocation of approximately 244,000,000.00 Euros with a complex financial analysis. In completion of the activities in the final stage of the Programme, three Memorandums of Understanding were signed in the Balkan region -in Mostar and Tirana - which created the first training pole on European Cohesion Policy. 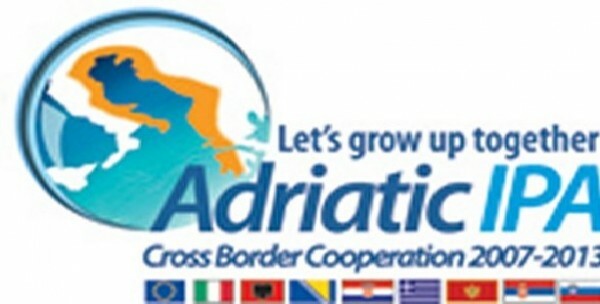 The Adriatic IPA CBC Programme is the most relevant territorial cooperation instrument in the Adriatic-Ionian region, has a budget amounting to 244 million Euros, and funded 104 projects with the involvement of 893 beneficiaries and 191 associated partners with their registered office in the territories of the 8 participating countries. Among the 102 projects, a central role was played by the 11 projects funded in 2016 under the innovative “Targeted call on Eusair”, which was strongly endorsed by the Managing Authority as the first initiative to tangibly implement the EUSAIR action plan, the Strategy adopted by the European Commission for the Adriatic-Ionian region. The relevant added value of the call concerned the capitalization of the results of 38 previously funded and already concluded projects by sharing, optimizing and transferring the outputs produced for the purpose of reinforcing cross-border cooperation and combining – also through feasibility studies and the sharing of best practices - the IPA Adriatic Programme priorities with the four pillars of EUSAIR. Upon initiative of the Managing Authority and in close cooperation with the Anti-fraud Unit of the Guardia di Finanza to Italy’s Council Presidency – Department for EU Policies, the Adriatic IPA CBC Programme promoted a cycle of seminars “Preventing and countering irregularities and fraud in European Territorial Cooperation Programmes” that allowed for the enhancement and capitalization of its experience in Italy and the countries participating in the Programme. The objective was to spread a shared methodology in compliance with European Union regulations and technical sources on fund management and ad-hoc audit actions and administrative and financial measures. The initiative aimed at reinforcing the first level control functions, capitalizing the results in all ETC Programmes both along 2014-2020 programming period and future 2021-2027 programming in the member States and pre-accession countries, to protect the EU and national budgets. The IPA Adriatic Programme as by EC Implementing Regulation no. 718/2007 closes on 31 March 2018, the Managing Authority is obliged to transmit all the closing documents to the European Commission and to complete in these days the financial, project monitoring and verification phases on the expected outputs. This way, the final payments in favour of all Partners can be made, thus carrying out further administrative analysis on each First Level Control Office, as well as on the administrative and financial performance also in relation to the pre-accession process.